Alpha lipoic acid is a powerful defense against oxidative stress and free radical damage. Over time, things start to sort of just… shut down. And by things I mean everything: Brains, computers, cars. Brains. And eventually even brains, as the aging mind increases in fragility and forgetfulness with each passing year beyond the reckless days of our youth. And during the reckless days of our youth, the brain still isn’t doing too well what with all that pot smoking and booze drinking and ridin’ those damn skateboards on the sidewalk. This is why Alpha Lipoic Acid, one of the body’s natural defenses against aging, has become such a hot name in the brain health industry. Not only does it offer significant protection against cognitive decline but it also, um… it protects against cognitive decline! TL/DNR: Alpha Lipoic Acid is a neuroprotector first, nootropic second, with its nootropic benefits emerging only when its neuroprotective benefits come to fruition in old age. For elderly cognition, ALA is practically a must have. For everyone else, it’s smart nutrition. Is Alpha Lipoic Acid a Good Nootropic? Brain on the decline? Time to GET FAT. Not that kind of fat, although this kind of fat may help with that kind of fat, too. No, no, the fat that I’m talking about is Alpha Lipoic Acid (ALA), the antioxidant fatty acid molecule commonly referred to as: THE UNIVERSAL ANTIOXIDANT. Read in CAPS, spoken in CAPS, because it’s that epic and it deserves your damn respect. Found in every body cell, ALA is not only a key cooperator in the function of mitochondrial enzymes, a bio-action that appeals to the fat burner market, but an important component in reducing bodily oxidative stress induced by free radical damage — one of those pesky side effects of aging. In essence, ALA is a key member of the body’s defense against the harmful oxidative effects of aging. Alpha lipoic acid is first and foremost an antioxidant. On its own, ALA can easily cross the blood-brain barrier to neutralize and remove free radicals from the brain, aiding the use and reuse of antioxidants vitamin C and glutathione, a key component in the body’s natural defense against harmful reactive oxygen species. Combined with other dietary antioxidant nutraceuticals, ALA is believed to synergize and enhance the compounds’ overall antioxidant capacity against oxidative damage. Neurotransmitter acetylcholine (ACh) is a key chemical associated with memory and learning. 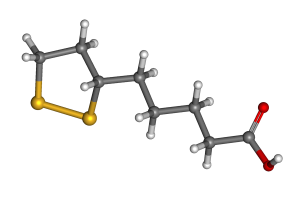 Low levels of ACh are associated with neurodegenerative disorders, essentially leading to the belief that anything that supports ACh also supports long-term cognitive health (SEE: huperzine A). ALA improves ACh production by activating choline acetyltransferase, an enzyme responsible for the synthesis of acetylcholine. Additionally, ALA increases glucose uptake, effectively supplying more acetyl-CoA for the synthesis of ACh. 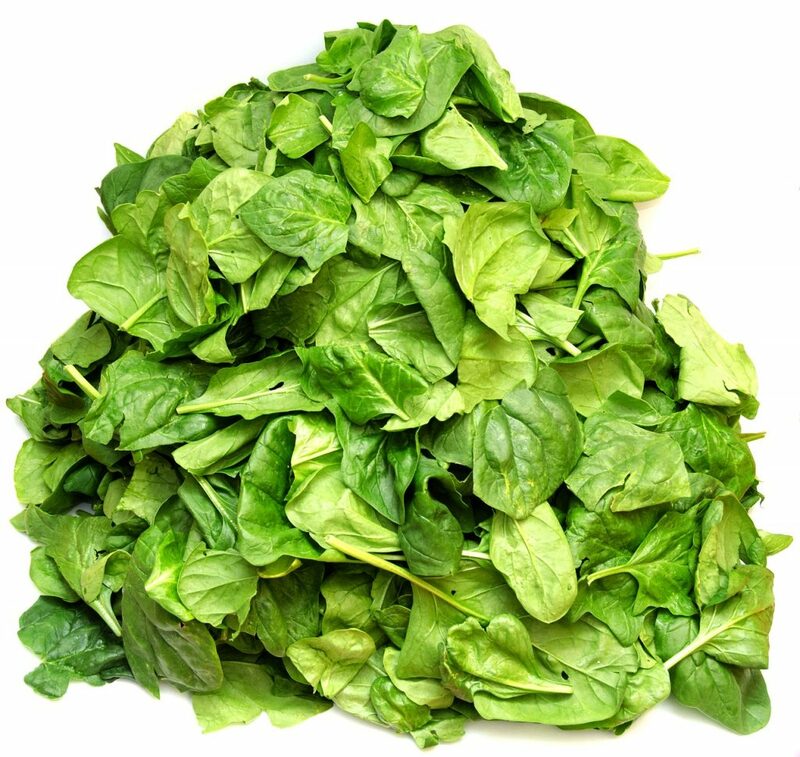 Spinach possesses one of the highest natural ALA concentrations. Alpha Lipoic Acid is more neuroprotective than nootropic. On that note, ALA seems to preserve cognition more so than enhance it, which may come across as enhancement in diminished cognitive states, e.g. old age, stroke, traumatic brain injury, etc. 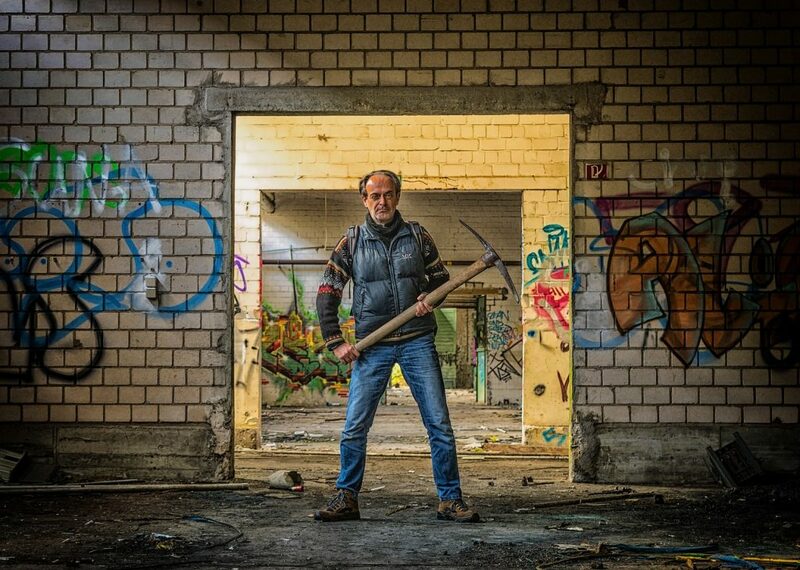 Biochemically, aging is often viewed as a measurable outcome of the oxidation process. While the truth is more complicated than that, ALA’s antioxidant capacity may possess anti-aging benefits with regards to neurodegeneration. Positive clinical results occur at 600 mg.
Retail ALA typically supplies 300 to 600 mg daily doses. Despite the scarcity of standalone ALA research, the antioxidant seems to operate synergistically with other neuroprotective antioxidants and anti-inflammatories, e.g. turmeric (more specifically: curcumin), EGCG, omega-3 acids. At my age, ALA has no measurable cognitive effect. Or at least not too a degree that I would notice. Having said that, I’ve supplemented plenty of products that carry ALA, and every time that I do supplement the stuff, I get that inner warm feeling of self-satisfaction that comes with consciously adding antioxidants to the diet. Much like the satisfaction that comes with supplementing resveratrol or turmeric, except not as satisfying (natural resveratrol and turmeric substances taste better). Admittedly, I never paid much attention to ALA until this review, which has changed my mind on the compound quite a bit. My go-to antioxidant is pterostilbene, yet if ALA truly synergizes with other antioxidants, then I wouldn’t mind adding it to my stack to further the antioxidant power of my nootropic intake. Granted, I’m not quite there yet in terms of age, so I don’t feel too much pressure to jump on the ALA wagon… but even so: it’s not a bad idea — particularly if brain energy balance is something I wish to maintain. For the general nootropic population, I wouldn’t qualify ALA as a reliable cognitive enhancing ingredient, despite its major prevalence in manufactured nootropic supplements. It’s definitely an antioxidant I’ll be doubling down on if I: A) ever get concussed again, or B) ever get old. But until then ALA works as a daily energy regulator. 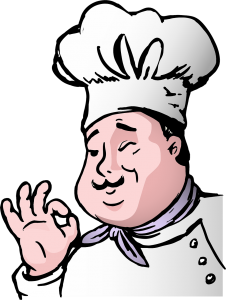 On that note, consider this as a do as I say, not as I do review. Getting a jump on your long-term health now is never a bad idea, and ALA may help. So yes, I say: Do it! Take it! Do as I say and take it! I mentioned earlier that ALA possesses significant synergy potential when teamed up with other energy boosting compounds, such as ALCAR. While supplementing ALA on its own is certainly a good idea, it’s not entirely necessary. Having said that, reaching the antioxidant’s synergy potential may make the compound much more worthwhile — and thus I’ve compiled this list of best nootropic supplements with alpha lipoic acid; i.e., ALA sources that may help reach this antioxidant’s synergy potential. Enjoy. 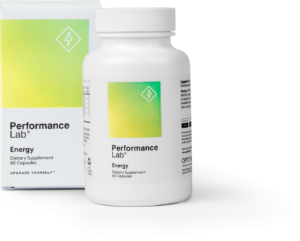 By far the best example of ALA synergy comes with Performance Lab Energy, a brain energy supplement that bucks the usual trend of cheap, caffeine stimulation for a more natural, unique mix of mitochondrial enhancing antioxidants and compounds. Whereas most “energy” supplements deliver risky, synthetic stimulation, Performance Lab Energy works by boosting the brain and body’s natural energy production levels. And, yes, Performance Lab Energy does this with ALA, or more accurately: R-Lipoic Acid (as Microencapsulated Bio-Enhanced®) — a more enhanced form of the universal antioxidant. What’s more, Performance Lab Energy stacks this antioxidant with the likes of ALCAR, PQQ (as BioPQQ®), and CoQ10 (as MicroActive® Q10) for a diverse mix of energy boosts. The result: clean, stable brain energy for DAYS. Neuro Optimizer is a surprisingly awesome nootropic supplement. And I say “surprisingly” due to the bottle’s design: Jarrow Formulas gives its premier nootropic stack the appearance of a scammy “let’s take advantage of the elderly” health supplement, when in reality it’s a real-deal brain health optimizer. And it optimizes brain health with nootropic favorites citicoline (as Cognizin®) and phosphatidylserine (as Sharp-PS®) — and you betcha: ALA + ALCAR. With this particular mix of brain boosters and antioxidants, Neuro Optimizer truly works at elevating and protecting cognitive longevity for both young and old. While the aforementioned citicoline and PS may assist with mental and sports performance, the total mix of Neuro Optimizer’s ingredients seems particularly geared at sustaining healthy cognition throughout the aging process. Similar to my suggestions for standalone ALA, I believe Neuro Optimizer is a “good idea” supplement to be taken as a younger nootropic enthusiast — and that good idea only gets gooder as the nootropic enthusiast ages. 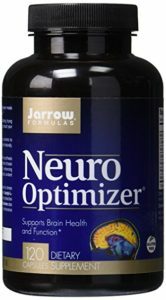 Read my in-depth review on Neuro Optimizer. 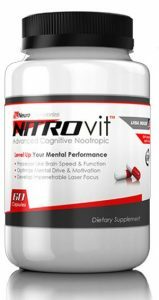 NITROvit is somewhat of a problem child nootropic supplement. Like a child you can’t help but love it, yet (again, like a child) it makes a couple mind-boggling mistakes, such as: poor quality ingredient forms (bacopa powder? oat straw powder??) and poor capsule quality (FD&C Red #40?!). Even so, it’s hard not to love this supplement for its ingredient choices, which range from the nootropic favorites citicoline, PS, and vinpocetine to brain energizers ALA + ALCAR. That’s right. You’re probably identifying a running pattern here on this list: every supplement supplies the ALA + ALCAR duo. It isn’t the only ALA combo that I recommend. In fact, there are nootropic supplements that supply the universal antioxidant without ALCAR, and in a potent enough format to generate excitement on its own. However, despite NITROvit’s flaws, the particular ALA + ALCAR duo is only one more reason to love this formula. And that’s enough for me to include it on this list. Read my in-depth review on NITROvit. As one of ABC’s Shark Tank success stories, Cerebral Success SmartX has plenty of financial resources to back up its formula. So, you’d think it’d be one of the big dogg stacks in the nootropic game, right? Sure, it’s pretty good — however, with the stack’s use of a proprietary blend and caffeine, the supplement is slightly sus. Having said that, it does supply ALA alongside other impressive nootropic ingredients — citicoline, L-theanine, L-tyrosine, and so on — thus qualifying for this list. 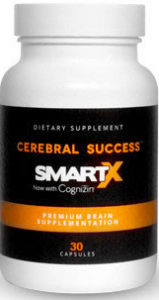 And given this stack’s use of DHA (docosahexaenoic acid), another brain healthy fatty acid, Cerebral Success SmartX’s ALA seems particularly good for an intermittent fasting diet. If you read my post on intermittent fasting, you’ll see ALA may help enhance your intermittent fasting results when taken directly after a fasting period — and I believe DHA may also contribute to your IF goals, as well, if used in a similar fashion. Either way, Cerebral Success SmartX has ALA and other awesome noots, enough to warrant your consideration. Read my in-depth review on Cerebral Success SmartX.